Everybody loves online slots games and progressive slots! Whether they’re the bleeping, tune-playing boxes in a brick and mortar casino, or the graphically smart online games. Online casinos get most of their revenue from the slot game wagers, and slot games also offer the biggest variety of all games that can be found online. Most online casinos offer hundreds of different slots for you to choose from. Canadacasino.reviews would like to introduce you to the world of progressive slots jackpots. Progressive slots are played in the very same way than any other slot games, but the difference is in the ever growing jackpot. Every time a coin is wagered, and a round is played, the jackpot amount grows. This of course motivates the players to invest their money in these progressive games, instead of the regular slots. The growing jackpot also makes the game more intense and exciting. 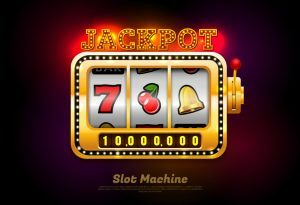 The increasing jackpot amount can be for a standalone game, or it can be for a network of machines, in which case the jackpot increases across the entire network. An essential feature for all progressive slots is the jackpot meter. This meter displays the current value of the jackpot. Once the jackpot is won by one of the players, it is reset to a predetermined value for the next play. While the bets are being placed and wagered, the jackpot starts to increase again. Needless to say, you can make much bigger winnings with progressive slots compared to the traditional ones. However, if you have your eyes on winning the jackpot, you will have to be ready to place the max bet. You cannot win the jackpot in a progressive slot game unless you are playing with the maximum bet. One can easily find progressive slots upon entering an online casino site, as the progressives will be very much in the centre of the page, and on-going campaigns and competitions will be colourfully and vividly advertised. There are progressive slot games that are famous for having made some lucky players very wealthy with a massive jackpot. These games include King Cashalot, The Incredible Hulk, Major Millions and Mega Moolah. The colossal Mega Moolah winning amount was 9.5 million dollars! As you can see, the jackpot, when it hits, can change one’s life for good. Just like regular slot games, you can, and we encourage you to, play for free first. This way you can see how the game works, choose your own tactic, and play without taking any risks. Many online casinos also offer free spins that that you can avail of. Progressive slot games are based on luck, and this is guaranteed by the Random Numbers Generator (RNG). However, there are some tactics that can come handy while playing, and that can help you enjoy your game more, and even get better winnings. As mentioned before, playing with the maximum bet is essential when chasing the jackpot. It is also important not to exceed the amount you initially planned to play with. Most online casinos have a software that enables you to keep track of your playing; whether it is by money or time that you wish to calculate your amount of playing based on. When you only play with the money that is available to you, and you can afford to lose, your gaming experience becomes much more pleasant, and you will be able to relax properly. Gambling is always supposed to be about having fun and switching off after a stressful day. When you are in control of your playing, you can genuinely enjoy the rounds you win, and you will be able to handle the ones that you don’t. If playing is not pleasant to you anymore, it is time to take a break. If a game starts to feel boring, it is a good idea to switch to another slot game. There are tons of different progressive slot games for you to choose from; a game with a different theme or a soundtrack might be just what you need to keep your gaming experience interesting. Have fun with Progressive Slots! We at Canadacasino.reviews want you to have the best possible online gaming experience. We will be listing the best and most reputable casinos for you, and we will keep sharing tips on online gambling. We hope that you will find your favourite slot game, and your favourite progressive too! Soon enough you might find yourself with tens of favourite slots. We encourage you to try as many different games as possible. Once you discover the endless possibilities of progressive online slot games, you will not go back. New slot games, including new progressive jackpot slots, are constantly being launched, and we will bring the latest updates to you. Remember to play responsibly and to have fun!